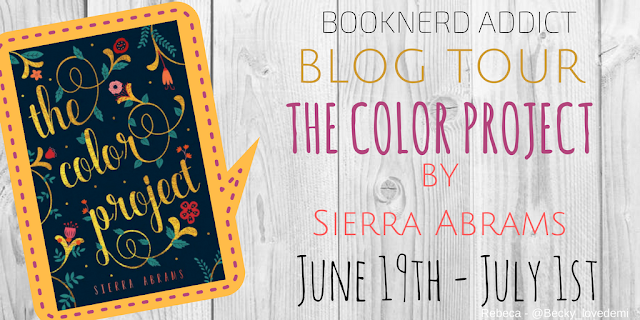 I'm super excited to be participating in the blog tour for The Color Project by Sierra Abrams! Guys, this book is seriously something special. I just finished reading it and I'll have my review up within the next few weeks, but what I can tell you. . . There's lots of swooning, laughs, and even tears to be shed. But there is SO much hope in this beautiful story, too. I honestly can't wait for everyone to devour this book like I did! I JUST LOVE BEE AND LEVI SO MUCH. Special thanks to Booknerd Addict Blog Tours for hosting. You can visit all the other participants by following the links at the end of this post. 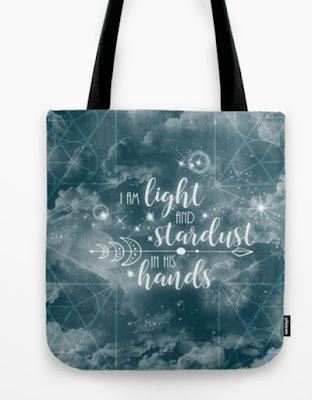 Make sure to enter the giveaway for the beautiful tote inspired by The Color Project, too! Levi is not at all shy about attempting to guess Bee's real name; his persistence is one of the many reasons why Bee falls for him. But while Levi is everything she never knew she needed, giving up her name would feel like a stamp on forever. And that terrifies her. When unexpected news of an illness in the family drains Bee's summer of everything bright, she is pushed to the breaking point. 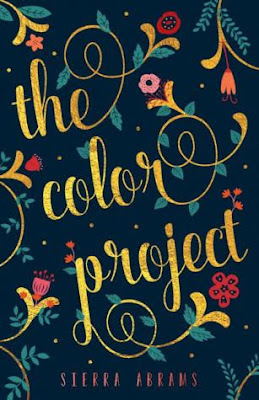 Losing herself in The Color Project - a world of weddings, funerals, cancer patients, and hopeful families that the charity funds - is no longer enough. Bee must hold up the weight of her family, but to do that, she needs Levi. She'll have to give up her name and let him in completely or lose the best thing that's ever happened to her. 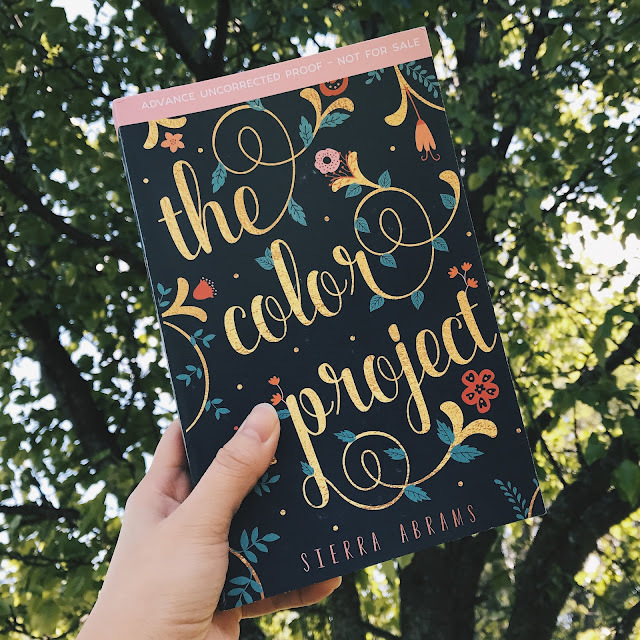 For fans of Stephanie Perkins and Morgan Matson, The Color Project is a story about the three great loves of life - family, friendship, and romance - and the bonds that withstand tragedy. INTRO: "This scene, from chapter 8, is Bee's third time spending any length of time with Levi, and the first time they have a little moment over the discussion of stars. It's one of my favorite moments in the whole book (that doesn't have a spoilery thing in it)." Tom sighs and pulls out onto the road. “Not here.” Levi and I exchange what (I think) could be called a “knowing” look, and—fine, I’ll admit that it thrills me. Eventually, Tom turns up the music, and we ride in silence for a few minutes. I lean with my left elbow on the console, my head tipped back, my eyes closed as I sing along softly. Then I feel someone tapping my arm. It’s Levi, straining against his seatbelt to get closer to me, and he’s pointing up. The open moon roof displays a wide variety of stars. Out here on the highway, there are no streetlights or neighborhoods—it’s just a straight shot around the mountain, on the side of the cliff over the reservoir, and then through the hills—so it’s very dark and quiet. I look up with Levi, our heads semi-close, and smile. “It’s a shame,” I sigh. He laughs, and I laugh, and find that it is incredibly difficult to keep my eyes on the stars when Levi’s sitting next to me. I adjust in my seat, to make the conversation easier. 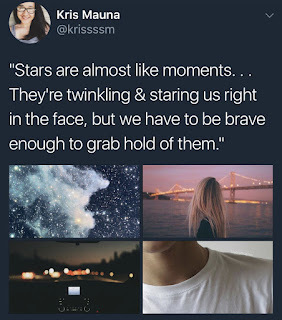 “Stars are almost…like…moments. To me.” As soon as these words come out of my mouth, I start to feel stupid. Do I sound stupid? I don’t know where this is coming from; I’ve never consciously thought about it before. 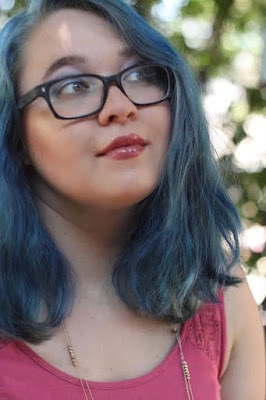 It’s always been a thought at the back of my mind, like I like chocolate ice cream, and I would marry Matt Smith if he asked me, and my mother wants me to go to college. Levi looks at me, then sits back in his seat, still looking, still studying. Like he’s pondering. Somehow, this puts my nerves to rest. Hope you all enjoyed the little preview of The Color Project! Look for my book review soon! I'm so so excited to read this book. It's one of my top July releases that I'm looking forward to. I love the excerpt that you choose to share as well.